Home-Made Orange Julius! About .75 a serving! My son loves Orange Julius so I created a home-made version we can enjoy anytime! 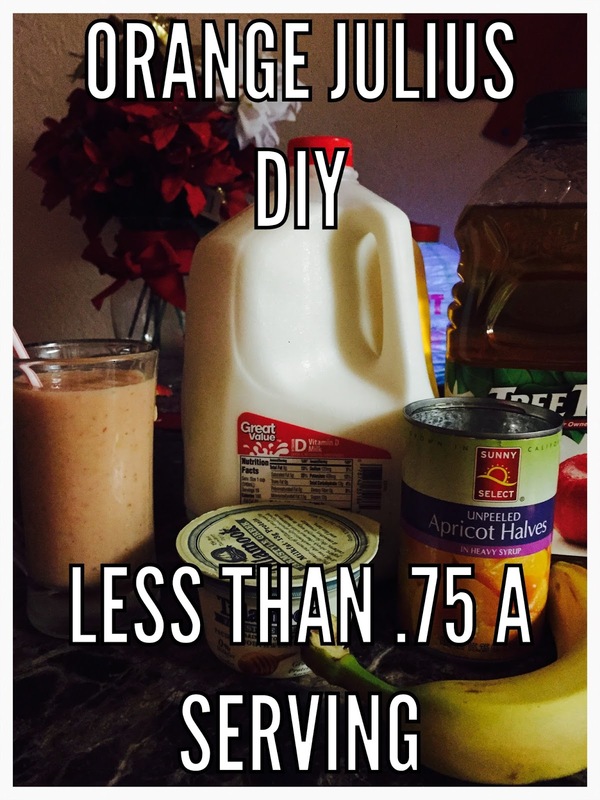 you can also add a scoop of vanilla ice cream or frozen yogurt instead of the regualr yogurt…or even add to it. This recipe is so simple and versatile. You can also try adding any fruit you have on hand like strawberries, peaches, blueberries. Have fun. Your kids will love this!